The days are getting shorter, the nights are getting longer and this is the perfect time for this lantern which was inspired by and designed to honour the Danish tradition of “hygge”. 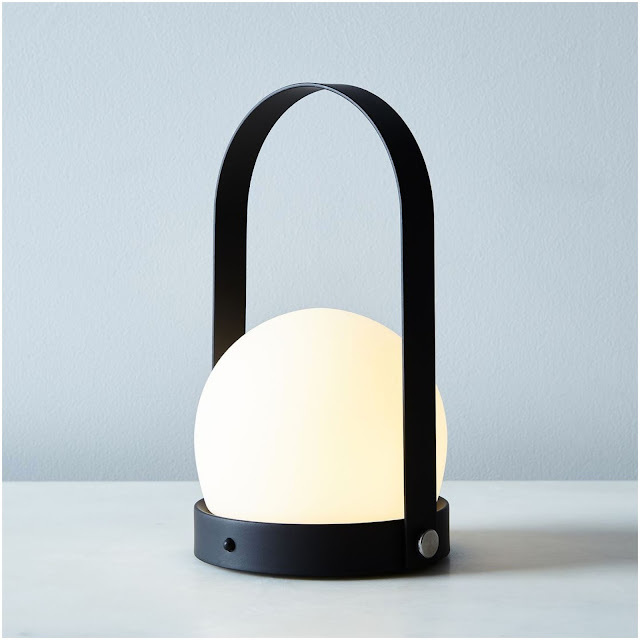 The simple orb light rests on a steel frame that doubles as a handle. The best part? The portable lamp is cordless and rechargeable and also comes with a USB port for supplementary power. We're fans of Byredo's scents, but their bags are coming in a close second. Accelerated Culture, the capsule collection of handbags and small leather goods inspired by drag racing are the result of a collaboration between the perfume house and photographer Craig McDean. Launched at Paris Fashion Week in September, the bags were shown with never-before-seen photographs and a film by the photographer. 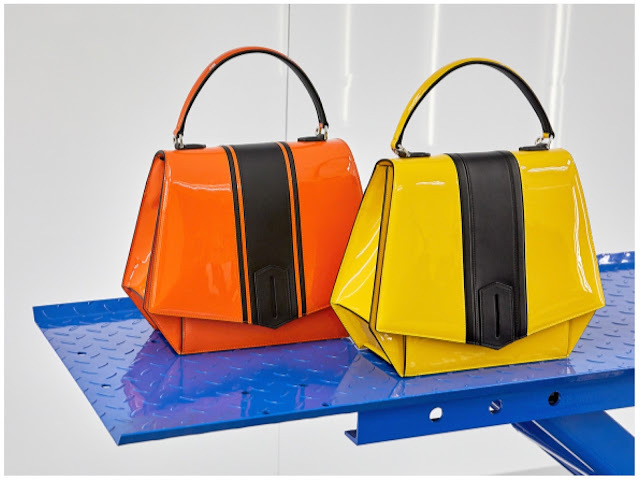 While the basic, geometric shape of the original line of leather goods, Nécessaire de Voyage, that debuted in 2015 remains, the bright colours and shiny patent leather directly reference the images that were the subject of McDean's book called I Love Fast Cars and provide the line with a fresh injection of style. The annual Taylor Wessing Photographic Portrait Prize, a leading international photographic portrait competition, celebrates and promotes the best in contemporary portrait photography. The Prize has established a reputation for creativity and excellence with works submitted by a range of photographers - both leading professionals and talented amateurs - and the most exciting emerging artists. This year, those selected for inclusion were chosen from 5,717 submissions entered by 2,423 photographers from 66 countries. One of the prize winners was Catherine Hyland whose Maddens Wind Farm from the series Wait-and-See Pudding with Patience Sauce was taken on the small Caribbean island of Nevis. The exhibition of fifty-nine works that accompanies the Prize is being held at the National Portrait Gallery, London from 16 November 2017 to 8 February 2018. Colour Stool by Karimoku New Standard is a simple design brought to life by the grid lines on the stool's seat. The lines are in fact grooves. 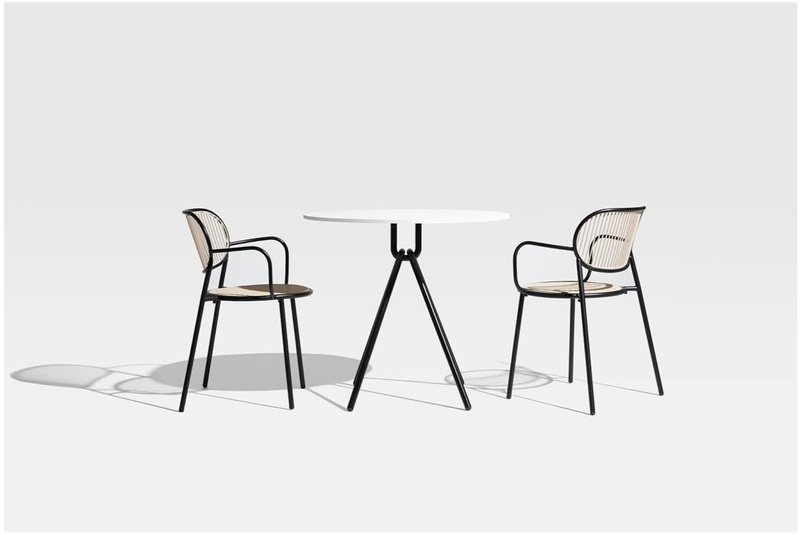 During the manufacture process, the seat's surface is spray-painted and any excess colour is sanded away manually leaving only the thin stripes. The shape of the undersurface of the seat and the joints between the seat and the legs are made according to the highest standards of Japanese craftsmanship. 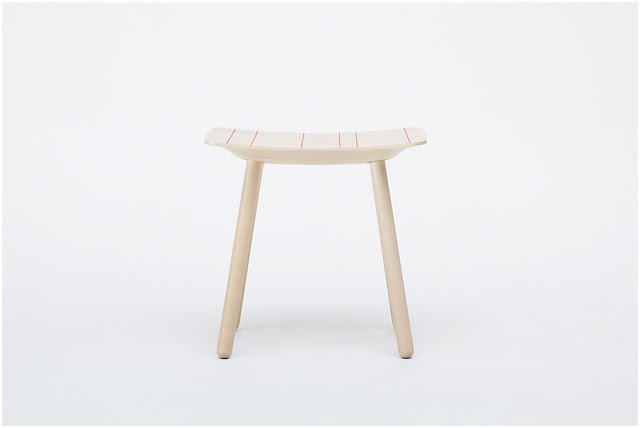 Colour Stool is compact in size and suitable for even the smallest living spaces. Handy and lightweight, this stool can easily be moved between the entrance hall, the kitchen, the bedroom or the living room. 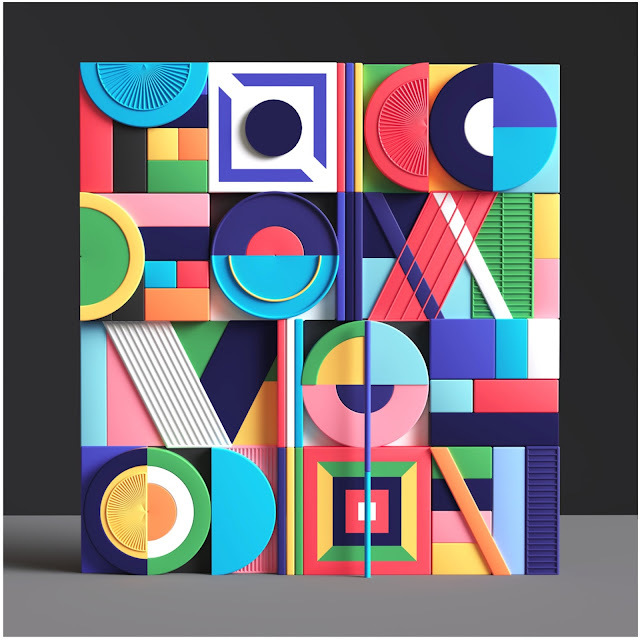 We love the primary colours and textured surfaces of these 3-D illustrations from the Personal Collection of Peter Tarka. This hotel was just too stunning not to feature. 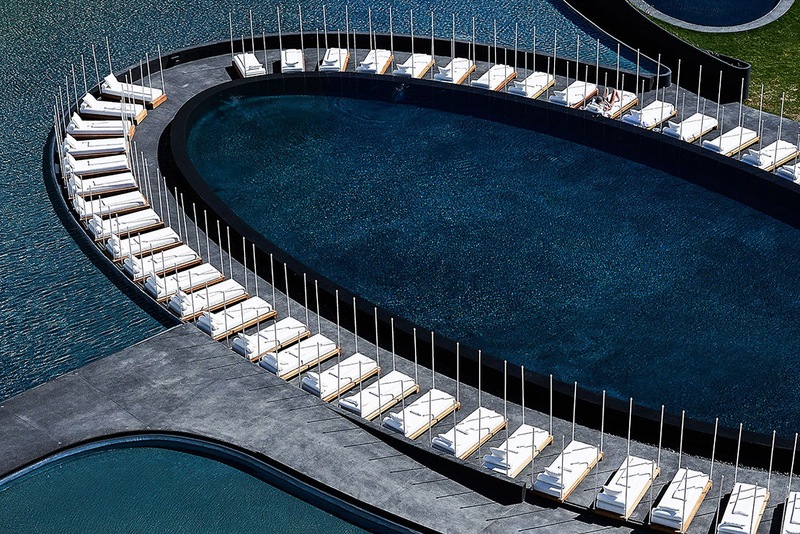 Located on the coast of San José del Cabo, the Hotel Mar Adentro is inspired by, built around and located next to water. The resort is entirely surrounded by a shallow reflective pool which gives the illusion of a floating oasis. At its centre is an oval swimming pool lined by custom teak lounges overlooking the sea. A dark concrete path parts the waters, leading to a 40,000 square-foot beach club where guests are served on built-in sunbeds from the food truck kitchen. Every guest room offers Poliform furniture, walk-in closets, covered terraces, and floor-to-ceiling glazing. Their minimal design and muted palette allow the ocean to be the main focus. 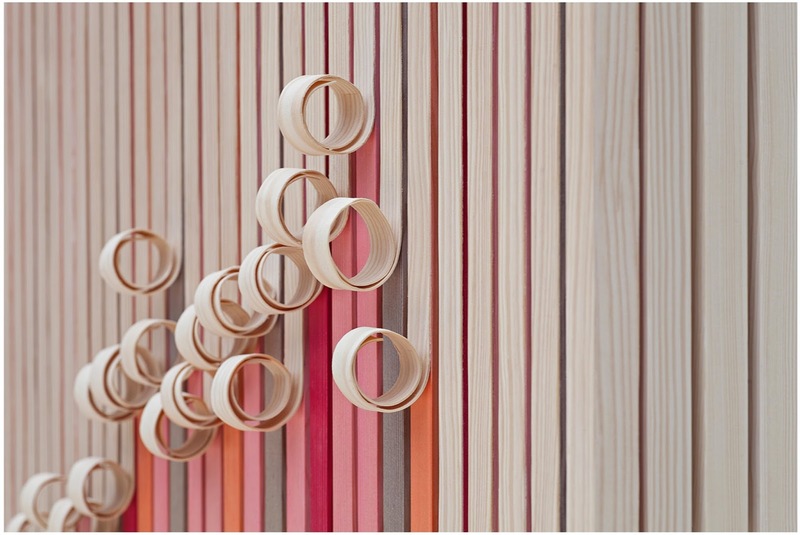 Swedish designers Stoft Studio were intrigued with the idea of the old and the new, the ancient and the modern and it was from this that the Whittle Away collection was born. Consisting of an armoire and a smaller cupboard that can be wall-mounted, the exterior is made up of planks of wood that have been stripped back like the bark of a tree to reveal the bright natural algae paint colours underneath. As the outer skin unfurls, something new and unspoilt that has lain dormant is revealed. The result is a paired-down minimalism combined with a certain colourful homeliness, the simple form of which is evocative of handicrafts of the past. Whittle Away was commissioned for the exhibition What’s your DNA? and presented during Dutch Design Week 2017. We came across the drawings and sculpture of Graeme Mortimer Evelyn, a Jamaican multi-media visual artist, musician and curator recently, a surprising fact given that he has won several large commissions and his artwork appears in numerous municipal buildings, sites of memory and places of worship as well as being displayed and collected in Princeton University's Center for African American Studies, Cornell University, Kensington Palace, The Royal Commonwealth Society, Museum in Docklands, Gloucester Cathedral, Watershed and M-Shed Bristol. 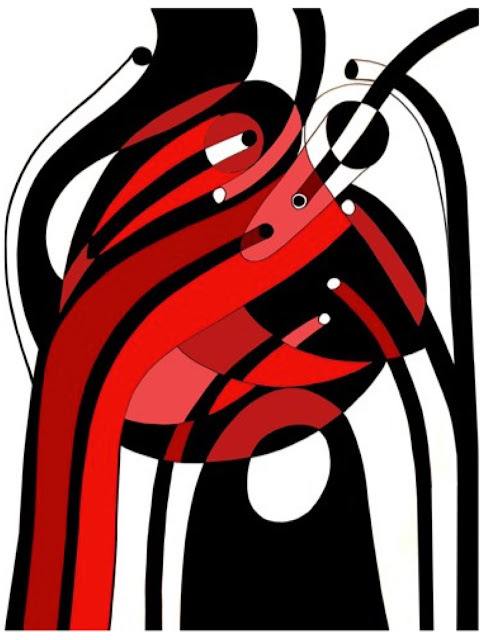 Evelyn's varied body of work is a subversion of the institutional. He comments on cultural social identity, politics and language, describing these narratives as forming “when fragments of relation, memory, society, identity and modernity, which seem disparate at first, come together to form a whole”. Evelyn has developed a reputation for creating work that is situated in municipal buildings, sites of memory and places of worship that subvert these settings and philosophies. His intention is that his art acts as a catalyst; attracting new audiences to seek alternative dialogues and challenging questions, enabling a democratisation of public spaces. Much of his work deals with Black history, reparation and reconciliation as well as societal conflict. In 2011, Evelyn was Artist-in-Residence at St. Stephen’s Church Bristol and commissioned to create a large scale permanent contemporary altarpiece entitled the Reconciliation Reredos. Set within one of the oldest churches in Bristol, historically significant as the harbour church that blessed every merchant slave vessel before their voyage; the Reconciliation Reredos is a contemporary artwork of universal reconciliation, that responds to the church’s past, reflects the voices of the city today while representing the potential of the future. The work has established Evelyn as the first ever Black British Artist to complete such a commission in Europe. In addition to his art, Evelyn also works with film such as the video essay he made in 2007 entitled The Two Coins: Meditations on Trade. This poignant, factual and objective work was filmed staging imagined historical reenactments within UNESCO heritage sites and locations in Ghana, Mali, Malawi and the UK, documenting the dormant history of the Trans-Atlantic slave trade as silent meditation. Evelyn continues to develop a new bodies of work. He is currently commissioned as Artist-in-Residence by the Diocese of London to create a Reredos - permanent large scale contemporary altarpiece - entitled The Eternal Engine for St Francis at the Engine Room in Tottenham Hale, the first new Anglican church to be built in the capital in almost 40 years. 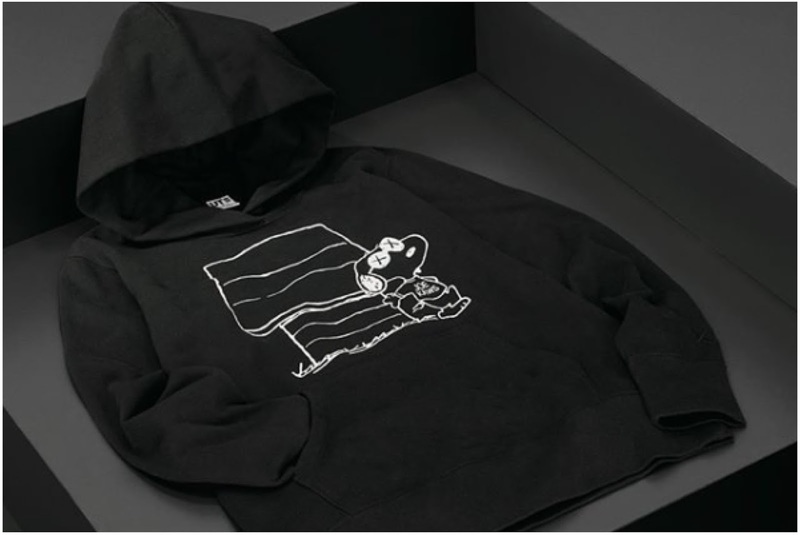 KAWS, Uniqlo, and Peanuts are back again with another highly anticipated collaboration. Out in the US today, November 20 and in the UK on November 24, the monochromatic collection consists of what Uniqlo does best: traditional street wear including crew-necked tee-shirts, sweatshirts and hoodies in black and white but also includes bags and a completely black Snoopy plush in two sizes that is sure to be one of the most coveted pieces. Part of Uniqlo’s LifeWear concept which reimagines various pop culture icons, the limited colourway gives the collection a certain gravitas as the line is designed to appeal to as wide an audience as possible. In keeping with Uniqlo's moderate price range, items will retail between $10 to $40. The Piper Range by GibsonKarlo for DesignByThem pairs indoor quality and charm with outdoor durability, creating a range that is visually light, distinctive and versatile. The designers wanted to create an outdoor range with the look, feel and quality of an indoor set. The backrest and seat of the chair can be interchanged with various colours and upholstery finishes creating a unique look. The Piper table with its standard compact laminate surface is available in various sizes - from café to dining - and finishes. The contrasting colours accentuate the design, and the strong lines highlight and frame the design in the same way windows and architraves are highlighted in buildings. Made from 304 stainless steel with a powder coat finish, the Piper Range is designed to withstand outdoor elements whilst providing comfort with its subtle curves.